We already know that Swedish music streaming service Spotify is coming to mobile devices like the iPhone soon enough, but the news this weekend that it could launch in the US by the end of the year spells even greater things for the booming brand. 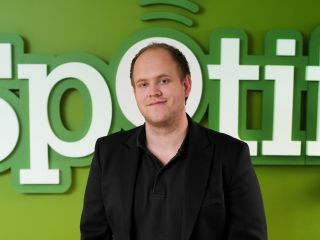 Spotify founder Daniel Ek told the Great Escape music festival that he has clear plans for the US to go with the launch of the new service in Europe and also revealed a little more of his mobile plans. According to the BBC, Ek explained Spotify would not be free to phone users: "Portability is an important aspect, [as is] interoperability with other devices. "That's definitely something we think is a premium product that people are willing to pay for - being able to bring the music with you." Looking ahead, he also hinted at higher bit-rates, SNS features, exclusive tracks for users, sales of artist t-shirts and even a concert ticket marketplace. Clearly, there are big plans for Spotify, but whatever next - peddling vinyl to the kids? Actually, that's something Ek says is very much on the agenda. We'll believe it when we see it.